Drivers threaten to shut down Uber and Taxify - SABC News - Breaking news, special reports, world, business, sport coverage of all South African current events. Africa's news leader. The drivers have given both companies 48 hours to respond to their demands. Uber and Taxify drivers have threatened to shut down the ride e-hailing services should their demands not be addressed. 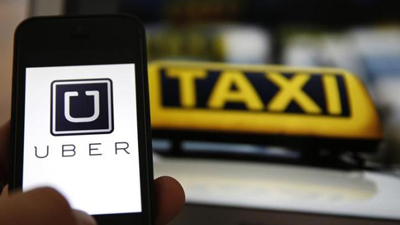 They marched to Uber offices in Krammerville in Johannesburg on Tuesday and handed over a memorandum of demands. They gave both companies 48 hours to respond to their demands. Among some of their demands is for the 25% commission which they claim Uber receives, to be reduced to 15%. Taxify on the other hand, claims its drivers receive 85 % of the fares charged and that fares were recently increased in order to accommodate the fuel price hike. NOTE: This story was amended on 06 July 2018 to more accurately reflect the Taxify payment structure – of 85 percent and not 13-20%. This entry was posted on 05 Jul 2018,11:56AM at 11:56 AM and is filed under Business, Homepage Latest Stories Slider. You can follow any responses to this entry through the RSS 2.0 feed. Both comments and pings are currently closed.